In a shocking turn of events, Europol has revealed that the National Dutch Police had surreptitiously taken over and operated the second largest drug marketplace on the dark web, Hansa, for at least a month now. 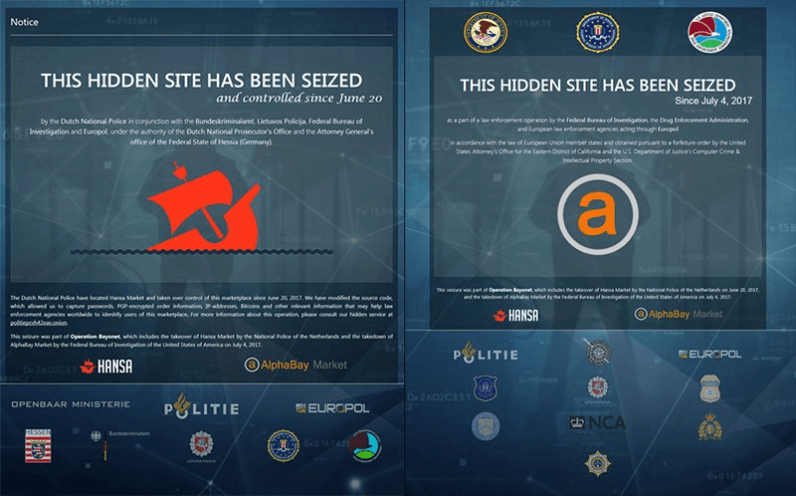 “Months of preparation and coordination have resulted today, 20 July 2017, in the takedown of two of the largest criminal Dark Web markets, AlphaBay and Hansa,” Europol said in a press release. The news follows the unexpected disappearance of the largest illegal dark web marketplace, AlphaBay, which first went down about two weeks ago. “Two major law enforcement operations, led by the Federal Bureau of Investigation (FBI), the US Drug Enforcement Agency (DEA) and the Dutch National Police, with the support of Europol, have shut down the infrastructure of an underground criminal economy responsible for the trading of over 350 000 illicit commodities including drugs, firearms and cybercrime malware,” the statement further notes. Dutch police has since remarked that, as part of the investigation, it will be actively seeking to catch not only vendors, but also buyers. According to sources, local task forces have intentions to go after at least 500 buyers. Dutch police has also revealed it has collected and passed on at least 10,000 addresses of Hansa market buyers to Europol for further investigation. It also managed to seize over 1,000 Bitcoin, worth more than $2 million. All funds have been since transferred to the Dutch Public Prosecution Service. In a press release, Dutch police said that Hansa was initially hosted on servers in Lithuania. Once its task force seized control of the servers, its tech team made an exact copy of the market place and transferred it to local servers. “Buyers and sellers could still access the darknet site, but without realizing the police and the public prosecution service in the Netherlands had seized control of Hansa,” the press release explains. In the run-up to today’s announcement, investigators indicated the marketplace registered an average of 1,000 orders each day. For context, Hansa had listed almost 40,000 advertisements from its 1,700-plus sellers. Interestingly, Dutch police points out that, following AlphaBay’s shutdown, the number of active daily vendors on Hansa increased almost eight-fold: from 1,000 to 8,000. The move was an internationally co-ordinated effort between law enforcement agencies aimed at identifying potential criminals by luring them away from AlphaBay and towards Hansa, which was already under the supervision of Dutch Police. So in case there are any wishful-thinking small-time drug dealers still hoping to receive their lost AlphaBay and Hansa funds… Better stay on your toes.